Guitar Hero III: Legends of Rock has become the single biggest product launch in Activision's history, selling over $115 million in its first seven days of release. 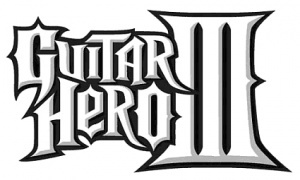 Guitar Hero III is the first game in the franchise to be released for the PlayStation 3 and Nintendo Wii consoles, and is also the only music game to be available on all major platforms. Activision is supporting the game with over 30,000 in-store kiosk displays, a hefty selection of music tracks, competitive price point and an "unprecedented global supply of product." The new game includes wireless controllers for every platform, online multiplayer options for head-to-head-banging action around the world and a growing complement of downloadable content. The game's soundtrack features performances by groups including Guns N' Roses, The Rolling Stones and Pearl Jam as well as original tracks by Slash and Tom Morello. "Guitar Hero III is the game that everyone is talking about," said Activision Chairman and CEO Robert Kotick. "It is the only videogame to make the Toys 'R' Us Hot Toy List for 2007 and Toy Wishes' Hot Dozen 2007, which forecast the most popular holiday gifts for the season. Despite having significantly increased our production capabilities for the holiday, there is still a high likelihood that we will not be able to meet demand for this game on every platform." Guitar Hero III: Legends of Rock was released in North America on October 28, and is scheduled to ship in Europe on November 23. It only makes sense. The Guitar Hero franchise is a huge deal right now and it has a tracklist that just about anyone can find something they like in. Also releasing it for two new consoles and having two actual guitar legends (Slash, Morello) doesn't hurt things either. Now if they could just freshen up the formula a bit and get some better multiplayer modes in there, we may have an addictive game that may take over consoles completely. you mean ps3 never had a guitar hero game?! The quote function is there for a reason. Please don't necro newsroom threads that are more than a month old, most people don't check the date on the original post. We do care about grammar here as well and it would be appreciated if you could use a spell check in future. Nope, 3 was the first one for the console. No it's part of the normal play through. I think it's in the 4th or 5th set list. I'm with Pi on this one. Please use proper grammar and spelling here.